Sacred music, heroin and guns are a deadly combo. American popular music is full of people who pushed boundaries: country legend Merle Haggard spent three years in jail for robbing a tavern; as a kid, James Brown was picked up for swiping clothes from parked cars. The list goes on and on. Without discovering an outlet for their creativity, many musical innovators could have spent the majority of their years behind bars. One of the most fascinating — and little-known — tales of musical crime is the story of Judee Sill. Judee Sill was born in Studio City; as a child, she learned to play piano in the seedy bar her father owned. He died when Judee was just five, and shortly after, the family relocated from Oakland to Los Angeles. Spencer acquiesced, introducing Judee to an older gentleman who was an armed robber. He gave her a gun and the duo began holding up liquor stores and gas stations all around southern California. For Judee, the robberies were just another kind of performance. She’d rehearse by pointing the gun at her reflection in the mirror, running through her lines: hands in the air, open the register, don’t call the police. The police eventually identified Judee and her partner in crime, busting them at her dilapidated house in Laurel Canyon. Judee was underage at the time of her arrest, so the police sent her to a reform school. She used her incarceration wisely, playing the organ in church and becoming familiar with gospel music, which would later influence her musical style. Judee tried to reform, but her time behind bars couldn’t straighten her all the way out. Upon release, she moved out of her mother’s house and in with an LSD dealer. She became a habitual user of the psychedelic drug — by her own account, she indulged every day for a year and a half. It was around this time that Judee started performing music in public with a jazz trio. The music scene in Los Angeles was booming in the early 1960s, with folk, pop and jazz melding to create some spectacular tunes. The notorious “Laurel Canyon scene” was just taking off, with artists like Joni Mitchell and Crosby, Stills, Nash & Young leading the way. Unfortunately, music wasn’t enough to fill the emptiness inside Judee. She hooked up with a pianist she knew from college named Bob Harris. The two began shooting heroin and Judee soon turned to petty crime to fund their junkie lifestyle. After a nightmarish overdose, Judee spent three nights in the county jail where she weaned herself off heroin. During recovery, she started seriously pursuing her childhood dream of becoming a singer-songwriter; a few lucky breaks landed her a recording spot at an unlikely place — the studio owned by clean-cut singer Pat Boone. Judee’s musical career was finally on the right track. 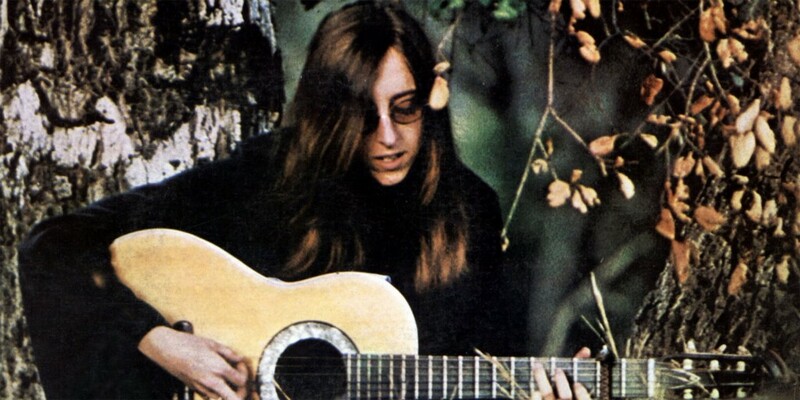 The Turtles recorded one of her songs and she signed with their publishing company, making $65 a week. Shortly after, high-powered agent, David Geffen, tracked her down. Judee became the first artist signed to Asylum, his highly promoted new label. 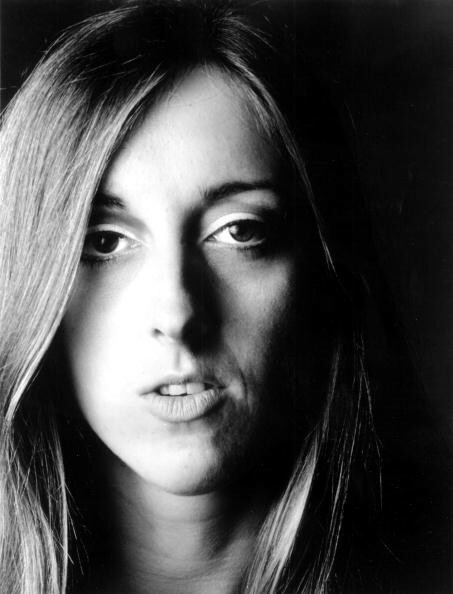 1971 saw the release of her self-titled debut, a unique melding of folk traditions and classical composition. The lead single, “Jesus Was a Cross Maker,” shows Sill accompanying herself on the piano, her vocals layered in an intricate and exultant harmony. The realities of the music business weren’t comfortable for Sill. She resented having to open for rock artists like Gordon Lightfoot, complaining that his audiences weren’t interested in what she was doing. Critics praised her sophomore album, “Heart Food,” but the record didn’t sell and Judee’s refusal to tour and build an audience strained her relationship with David Geffen. According to some, he dropped her from Asylum after she called him a gay slur on stage; her third album was never completed. When a 650-page biography of Geffen was published in 2000, Judee rated a single sentence. Judee left the music industry. In a cruel twist of irony, she took up her hated stepfather’s career, working in animation for a Los Angeles studio. A terrible driver, she was involved in a series of car accidents that ruined her back and left her on a brutal regimen of pain medications. Judee died of a drug overdose in 1979, having sunk so far into obscurity that most papers didn’t even bother to print an obituary. Her two albums still hold up, full of the beautiful duality that drove her to study sacred music while simultaneously robbing convenience stores. In many ways, the abrupt end of her career is the biggest crime of her entire life.